In all literature, there may be only five or six truly Great Stories but these few stories are told again and again, a thousand different ways. I was reminded of this while watching X-Men: Days of Future Past. (Warning: spoilers ahead!) On the surface, this is a film about saving the future by altering the past. But there is a deeper narrative here, and one that connects to a Greater Story that has been told again and again since the beginning of time. I am referring to the ancient struggle between two kingdoms – a kingdom built on power, and another built on love. It’s Satan vs Jesus, Anakin vs Obi-Wan, Gollum vs Frodo, and in the X-Men film, it’s Erik vs Charles. Erik, a.k.a. 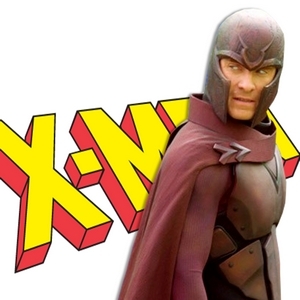 Magneto, is a powerful mutant who is determined to do whatever it takes to secure the future of his race. His friend, Charles, a.k.a. Professor Xavier, is a fellow mutant who dreams of a future characterized by peace between mutants and humans. Erik/Magneto represents the kingdom of power. He’s Herod, Caiaphas, and Caesar, all rolled into one. Charles represents the kingdom of love. He’s Martin Luther King, Gandhi, and Jesus, all rolled into one. While Erik treads the path of power, Charles prefers the way of grace. Erik is a warrior; Charles is a healer. If Erik’s goal is to make things right, Charles’ goal is to make things beautiful. The dramatic tension between Erik and Charles makes for a great story because it evokes two universal questions. 1. Do the ends justify the means? In the X-Men movie, Erik is fighting for a cause and will do whatever it takes to accomplish his goal. Initially, we have some sympathy for his heavy-handed methods. After all, he’s just trying to protect his mutant family. But when Erik shoots Raven and starts killing mutants, we realize something has gone terribly wrong. Erik’s goal is not evil – he just wants his kind to live – but his methods are so brutal that other mutants describe him a survivor and a monster. In this and other X-Men films, Erik’s strategies pit mutant against mutant, and brother against brother. This is a recurring theme in the kingdom of power. Cain kills Abel, Sméagol kills Déagol, Scar kills Mufasa, Michael Corleone kills Fredo, and Magneto’s actions ultimately lead to the deaths of virtually every mutant, including himself. We repeat Magneto’s mistake whenever we put a cause – a vision, a ministry, a career – ahead of people. Zeal for a goal can cause us to treat people as tools or soldiers: We value them by how much they help us and shoot those who get in our way. We may tell ourselves that the outcome justifies the means – “I’m building the kingdom of God” – but we are really building the kingdom of Satan. Like Saul, who thought he was serving God, we are persecuting Jesus (Acts 9:5). Erik’s methods are selfish and ugly and consequently any good he seeks to do becomes rotten. He’s Anakin Skywalker sliding towards the dark side and he’s Boromir of Gondor lusting for the ring of power. But ultimately he’s Adam sewing fig leaves in a futile attempt to make things right. Charles shows us a different path. For Charles, it is not enough that the dream is beautiful, the means must be beautiful as well. While Erik draws lines dividing Us (those who are with me) from Them (those who are against me), Charles reaches out and turns enemies into friends. He sees the good in others, even those who have lost their way, and prophetically calls them towards their destiny. 2. Walk by faith or sight? Just because someone stumbles and loses their path, doesn’t mean they can’t be saved. 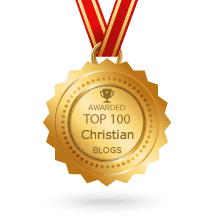 How does salvation come? How is a wrong put right? Not with power enforced by violence but with love. Justice isn’t found down the barrel of a gun. It’s made by peace-makers who embrace their enemies and resist those things which are opposed to love. The success of the film is this: although Charles is more powerful than Erik, he does not win by engaging in a contest of strength. In the critical moment Charles lies crippled and weak under a steel beam, as helpless as a Savior on a cross. Yet even in the face of death, Charles refuses to wield his power. He doesn’t call down twelve legions of angels. Instead, he yields control, effectively laying down his life, by putting his faith in another. Into the cataclysmic battle between power and love comes a broken and hurting woman. Raven represents fallen humanity. In an earlier film she ran from Charles to Erik only to be betrayed by the latter in this film. Now she has become Cain, a restless wanderer, with murder on her heart. Charles: Raven, please don’t do this! Raven: Get out of the way, Charles! Charles: This is going to make us an enemy! Raven: Look around you, we already are! Charles: I have faith in you, Raven. I believe you are not the kind of person humanity sees you to be. I’ve been trying to control you from the beginning … everything that happens now is in your hands. Charles’ faith in Raven turns the tide and breaks the cycle of violence and retribution. His act of love leads to a stunning reversal of all the harm done amounting to a resurrection, not only of those who died in this film, but also those who died in previous films. It is a jaw-dropping restoration. 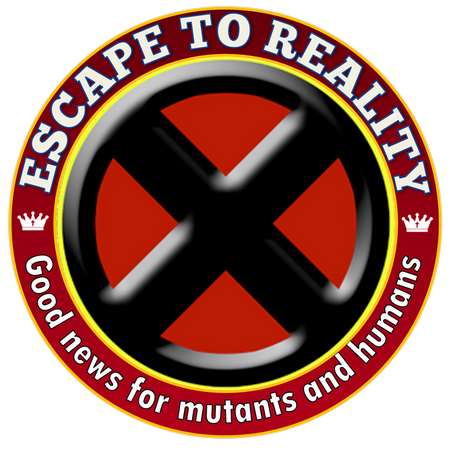 What can we learn from the X-Men? The X-Men movie shows us that power – whether defined as technology (represented by the military-scientist Trask), politics (President Nixon), or superhuman abilities (Magneto) – becomes abusive when love is absent. Even when our goals are noble, an obsession with outcomes can blind us to the ugliness of our actions. And when we trust in our own strength and abilities, we limit our options and may even curse what we do (Jer. 17:5). Charles, who represents a type of Jesus, shows us a better way. His faith in Raven reflects God’s faith in us. God does not want to control you, he wants to love you, and he does! He wants the best for you and he is continually calling you towards your destiny. Raven’s choice is our choice. We can pull the trigger of power and try to make things happen in our own strength or we can respond to the grace that calls us. We can try and take the world by force or we can inherit it with meekness and trust. The greatest achievement of the X-Men: Days of Future Past is in showing the ultimate victory of the kingdom of love over the principalities and powers of this world. It’s a good story because it’s really a Great Story. Awesome, I also seen this movie and looked at it through the lenses of Grace. I think you make a good movie critic for us. Very good article. Doesn’t the bible say that the meek shall inherit the earth? I personally have not seen all the movie series you’ve mentioned Paul so let me see if I’v got this. I’m reminded of an influx into our Country of a particular religious persuasion advocating a doctrine of violence and abuse, (conversion by fear) How do we best conquer the obvious evil this religion thrives on..? by gathering our political might to match their violent attachment…or do we example to them another doctrine. A doctrine of the love and grace of Jesus Christ and as we pray, and depend on God to reveal his reality and the abundant life in Jesus Christ to them. Of course in all of this, we Christians must be the foot soldiers. Beautiful …. Jst beautiful! Love is the only way we live. The Just shall live by Faith, and Faith works by Love. No Love, equates to no Faith at work; No Faith at Work, equates to death…. No wonder the Law ministers death, because it is not of Faith, It does not reveal the Father’s Love … Let love drive us! Let Grace Lead! Let the world be changed! Yes Paul!! Loved the movie & loved this….and what a line by Charles, glad you recounted it! Did you stay to see the scene after the end credits? No, I missed that one. But I read about it. Yet there is a time to fight- not for selfish motives- but to protect others. The greatest evil is when evil men oppress and good men do nothing to stop them. Dietrich Bonhoffer was martyred only when his godly conscience led him to join a conspiracy to have Hitler assassinated . 6 million Jews perished because godly men didn’t fight soon enough for them! Chamberlains appeasement policy towards Hitler from 1935-1939 cost the lives of 20 million Europeans. Barry. James said those who work for peace in a peaceful way plant a good crop of right-living. You are Jesus in this world, how should we respond? Wow… powerful observation through the lens of grace… I saw the movie and loved it. good post, I am unfortunately guilty of wanting to solve things with force, 2 recent situations come to mind, more of a shout at the devil,then to shine more light of love on them,I also believe there are times for force, I believe that Jesus’s mere presence,changed the situation,he projected so much power and love, that evil or death,could not function in his presence, or it was repelled. Paul what an excellent synopsis of the latest Xmen movie. I really enjoyed this movie, and like you, I am always looking for a message that I might apply in my teaching of the gospel. I saw that power is a means to an end but love is a far better method of resolution. Love can resurrect the dead, love died on the cross for all humanity. But power only attempts to bend peoples choices to your will. You have to keep applying the power or your goal of achievement will end. It is much better to have a person through love correct their own behavior, understanding that as they have received they should freely give. Paul great movie analysis. I too missed the ending so I’m going to see it again. Love is most excellent. God is Love. God has no need of power , or authority , or influence . what could possibly stand against him that would require this response. I can assure you it is all to speak to our ignorant perception of who God is that he allows these perceptions. What a wonderful critique and analysis to the movie…. Even though I have not seen the movie, this post has put the desire in me…. Thank God for HIS LOVE…. I LOVE movies and my favorite genre is Sci-Fi/Fantasy. I must say though, I’ve been teaching the Bible for 23 years and concerning this analogy I’m speechless! ROCK ON, Paul! Rock on!! !